Back in 2002, I took a road trip across the country to South Dakota. The purpose of this trip was simply to explore the Black Hills area and visit as many of the sites and as much of the scenery as possible. 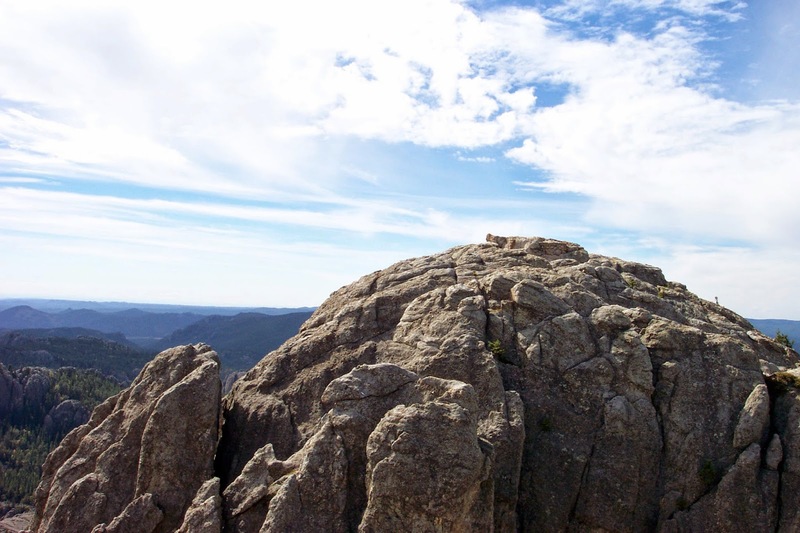 One of the many day-trips I did on this vacation, was to visit Harney Peak, the high point of South Dakota. Incidentally, Harney Peak is also the highest point East of the Rockies. During this visit, it occurred to me just how fascinating it was to hit a state high point, and I think where the seed was planted to try to hit them all some day. 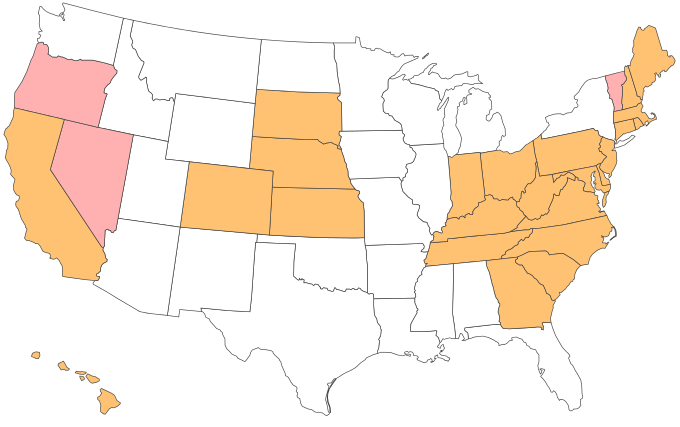 Honestly though, I never expected to really seek out any additional state high points unless the rare opportunity presented itself. 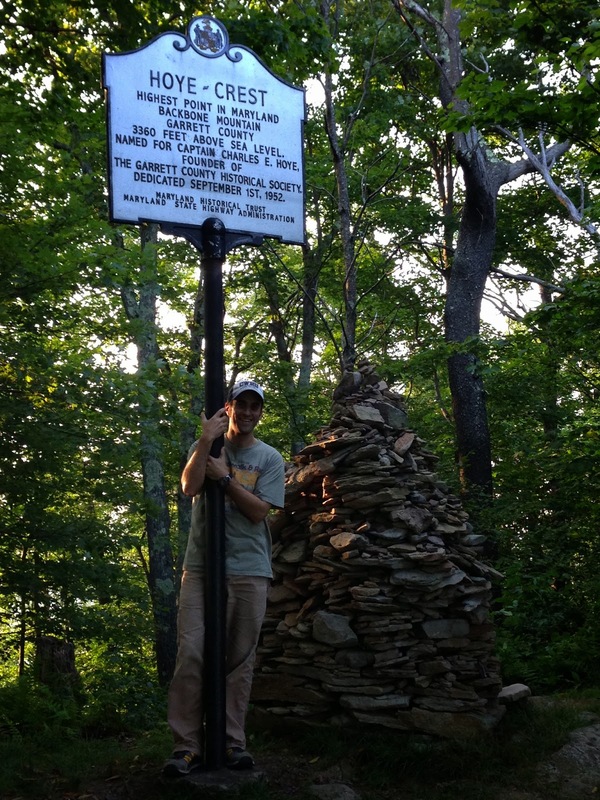 But then, during my AT thru-hike in 2007, I once again found myself atop a few more state high points, and it was at that time that I became somewhat hooked by the notion of trying to hit them all in my lifetime. Obviously Alaska would be tough, as would states like Washington, Montana, and Wyoming...but that didn't mean I wouldn't at least try to get as many as I could. As of this past weekend, I've hit the half-way point with 25 high points now visited, and thought I'd write about (or simply show pictures from) each one of those unique trips. 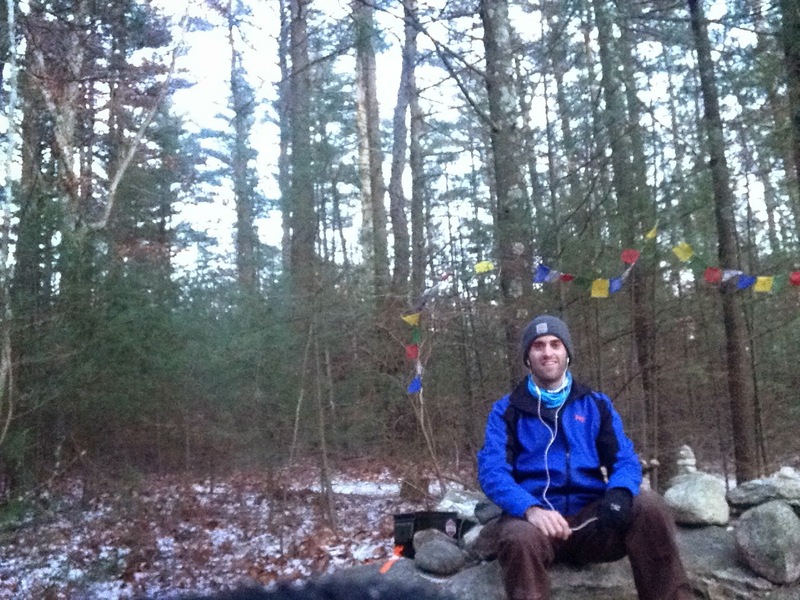 During my 2007 Thru-Hike, I hit my next four: TN, MA, NH, and ME. blowing throughmy shirt, makes it look like I got a big ol' gut! Ha. At the summit of Mt. Greylock. Three year later, I found myself on another thru-hike. This time along the Pacific Crest Trail. 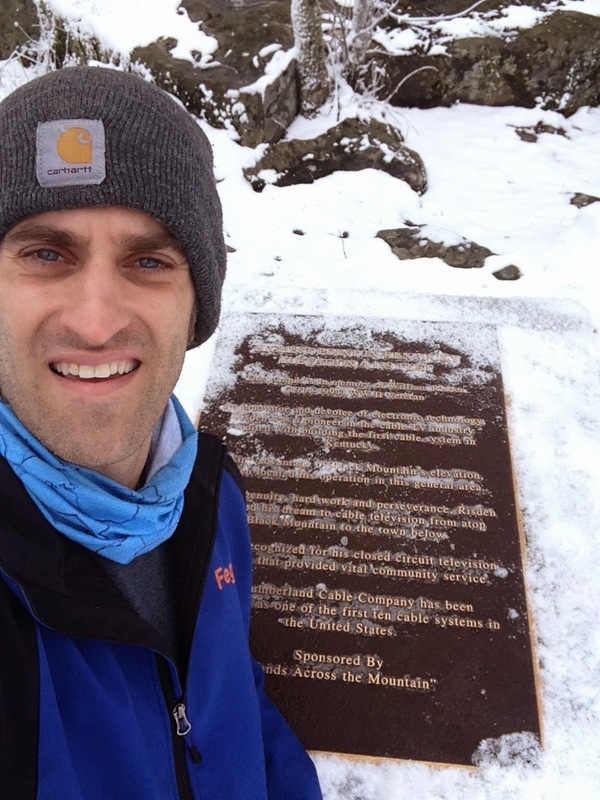 During this hike, I made the 14-mile side trip up to the highest point in the lower 48: California's Mt. Whitney. It was a very snow ascent, but the summit was incredible. Mole-Man, Guthook, Myself, and one other who's name I forget. While out in Colorado for my 2nd running of the Leadville 100, I made a trip up Mt. Elbert to bag the 2nd highest summit in the lower 48. A couple of years later, on another trip to Colorado for lab work and the Leadville 100, I decided to drive. Driving across the greater US generally means some sort of fun adventure will ensue. 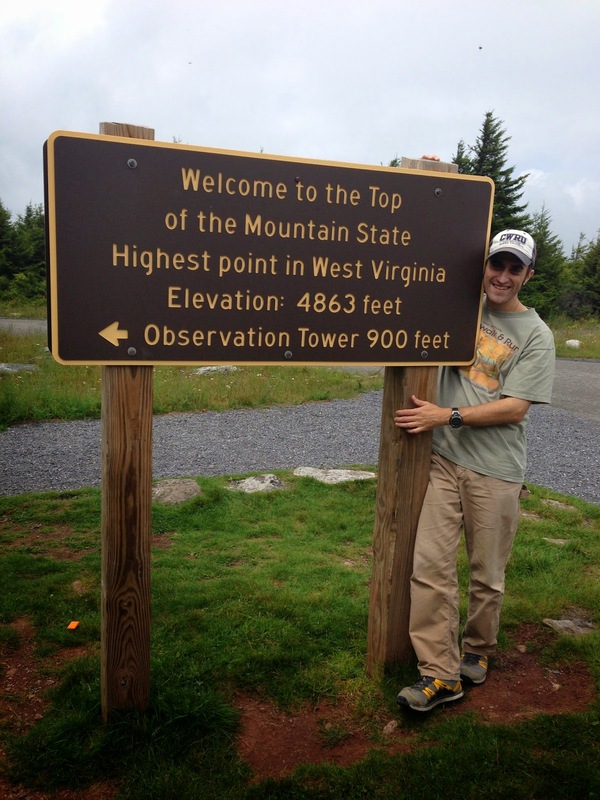 For me, I decided to try to hit high points and new states along the way. This is how I bagged a whole slew of new high points. Ohio's highpoint is on the campus of a beauty school. Weird. 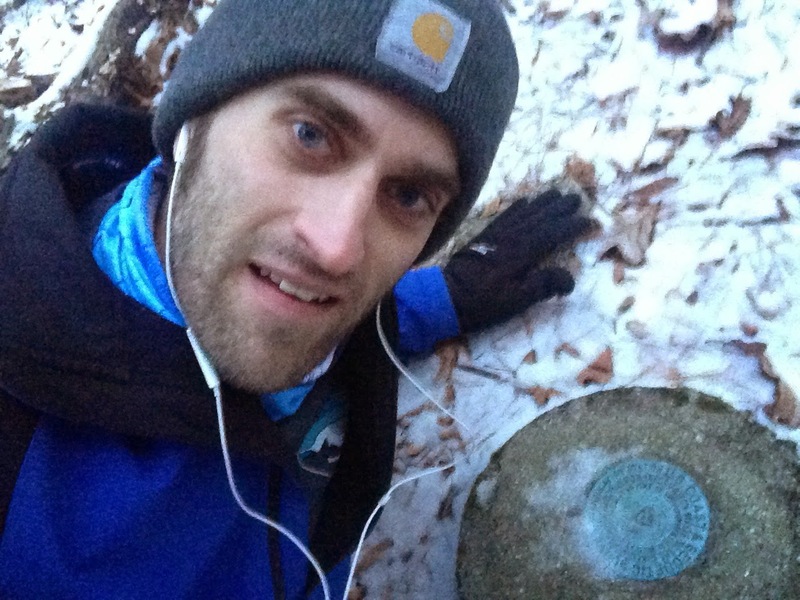 A few months later I was running the NJ 24-race and I decided to make a detour up to "High Point" to tag the state once and for all. 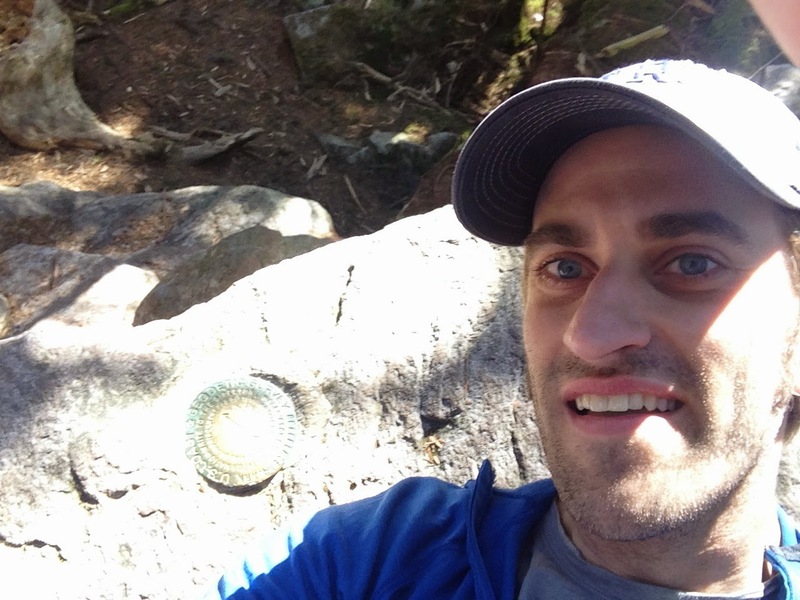 During my AT thru-hike, I came with in a few hundred meters of the highpoint, but never actually tagged it. Since I was only about 15 miles away, I decided it was worth the side trip. The following spring, a quick road trip back from Florida would give me the opportunity to tag 4 more of the East Coast high points. We ended up turning the trip into a fun highpoint adventure. 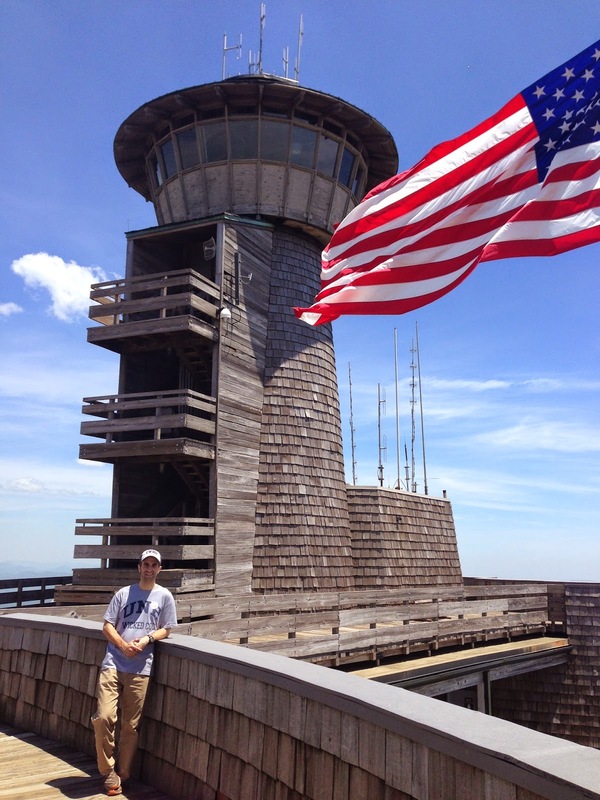 Tower at the summit of Brasstown Bald. The obligatory 'Muricah photo. 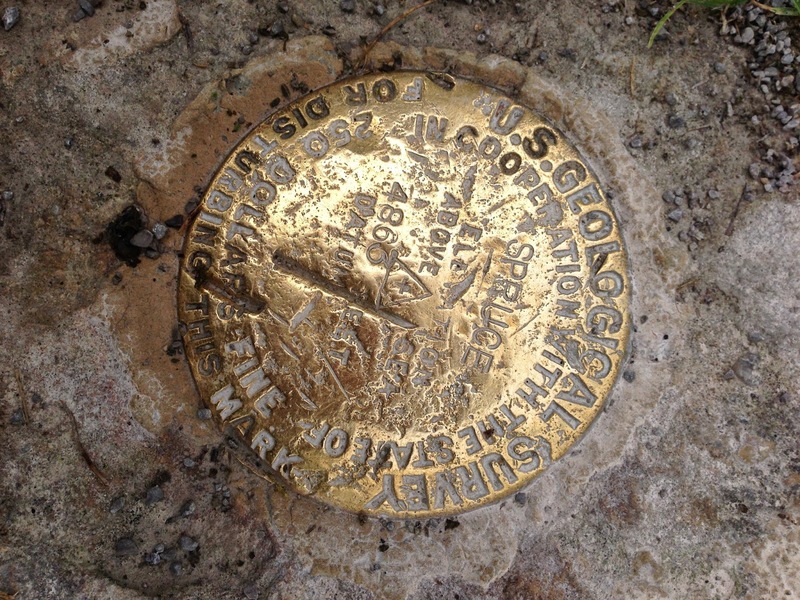 USGS Benchmark - Which was actually behind a locked door at the tower. 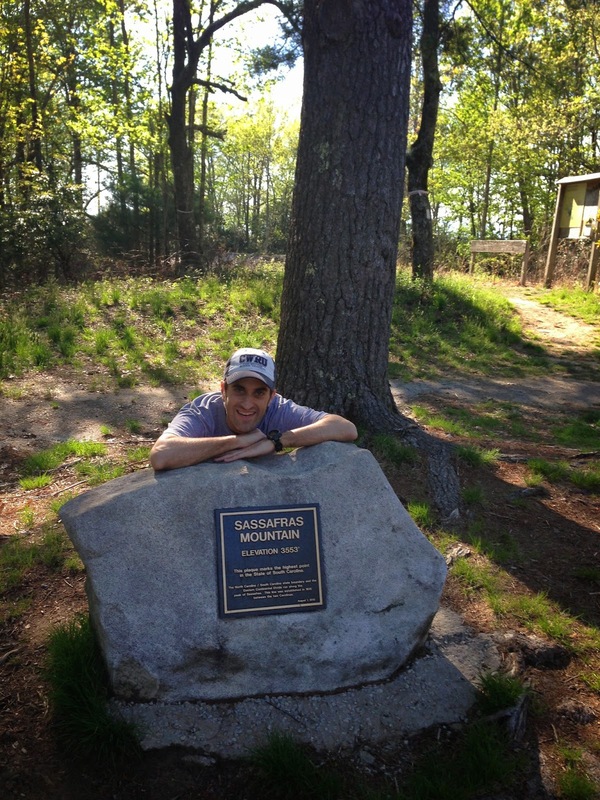 Sassafras was actually one of my favorite summits. We were all alone at the top and enjoyed a lovely afternoon there. Just before dark we made it to the summit of Mitchell to watch the sun set. Mt. Mitchell is the highest point east of the Mississippi River. 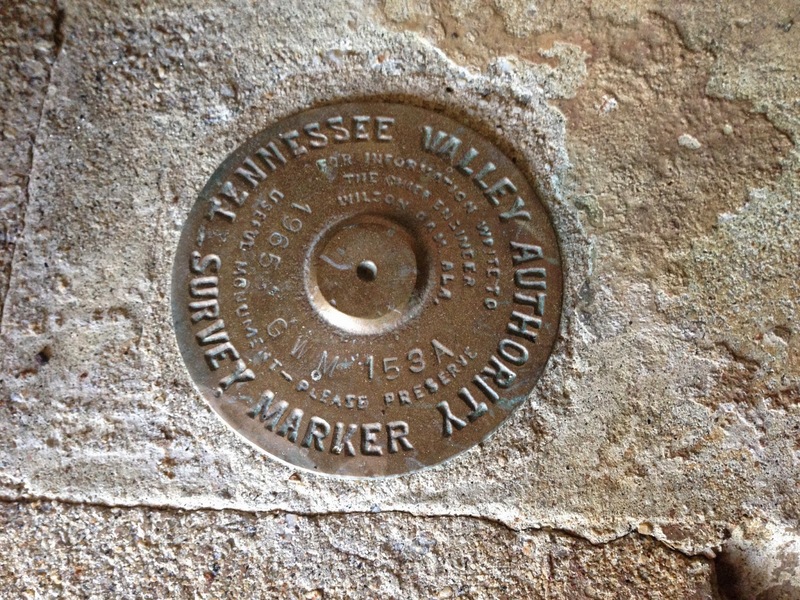 The Benchmark on the observation tower. 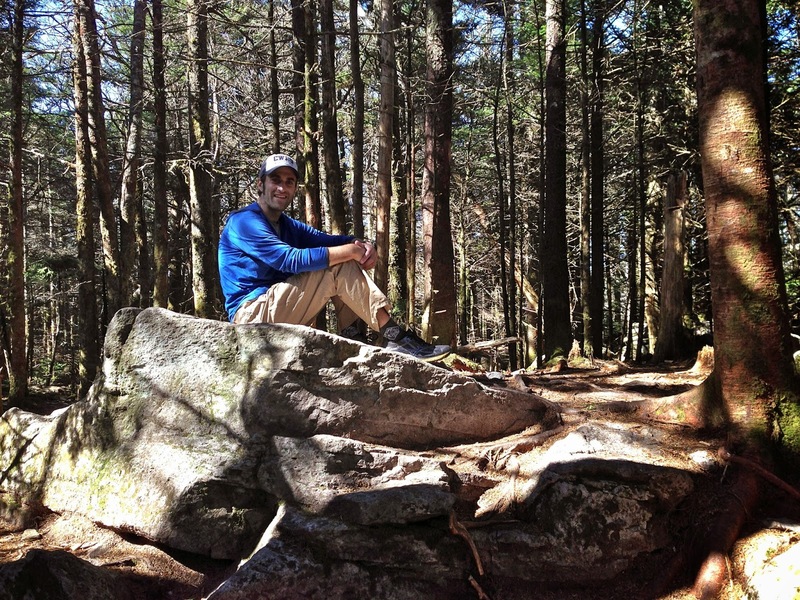 The following day, we parked at the trailhead to Mount Rogers Virginia, and enjoyed a leisurely stroll the 4 miles to the summit. We even had some fun photographing the wild horses. Horses on the way up to the summit. The summit rock just under a mile high in elevation. 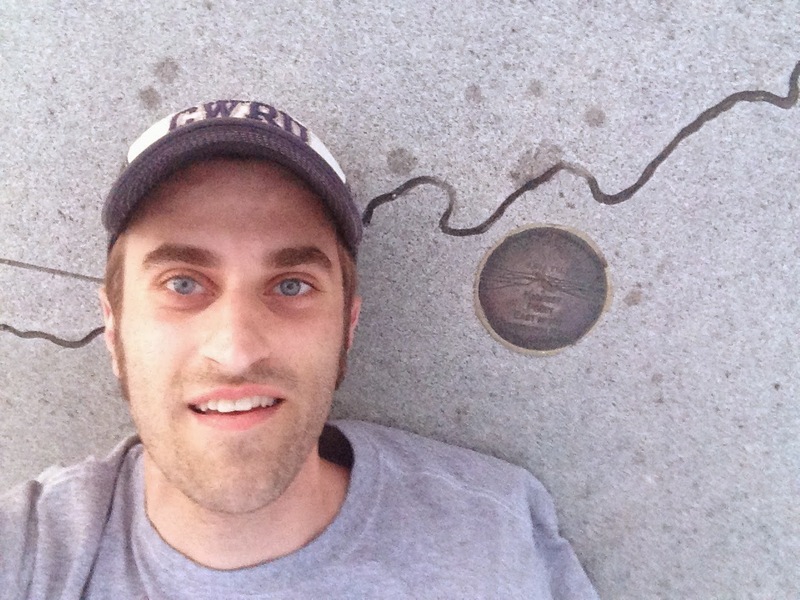 A few weeks later I'd find myself outside Philadelphia to run a 12-hour race. On the return trip, I popped over the border into Delaware to tag the rather ridiculous "Ebright Azimuth". The summit is quite literally on a random street sidewalk and probably the most insignificant of any highpoint. 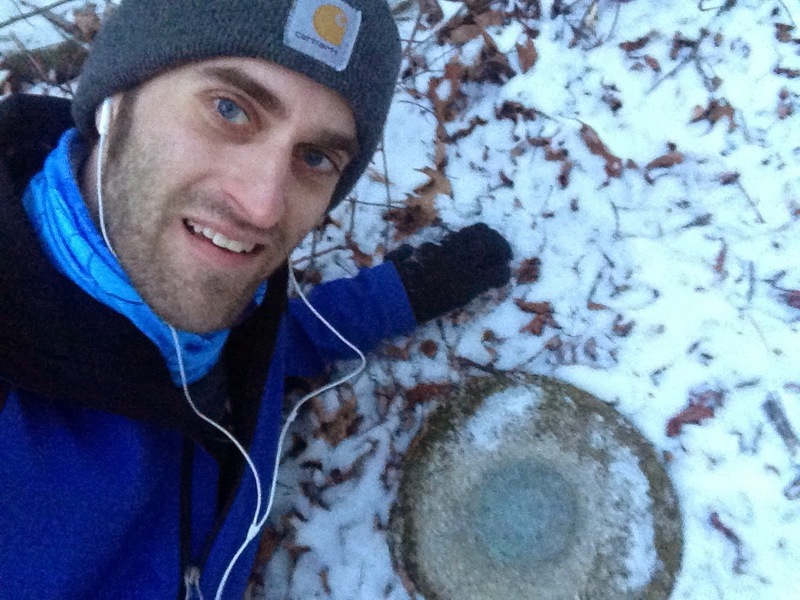 actual PA highpoint USGS benchmark. of Spruce Knob. It was a foggy/cool day. 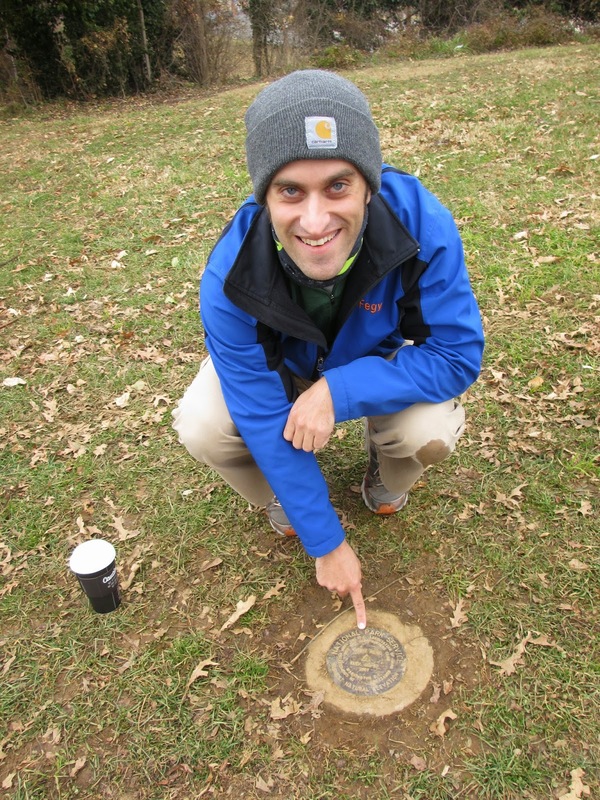 The hike into the highpoint of Maryland starts in West Virigina. Backbone Mtn. It was about a 45 minute hike in. Highpointers Mailbox on the summit. 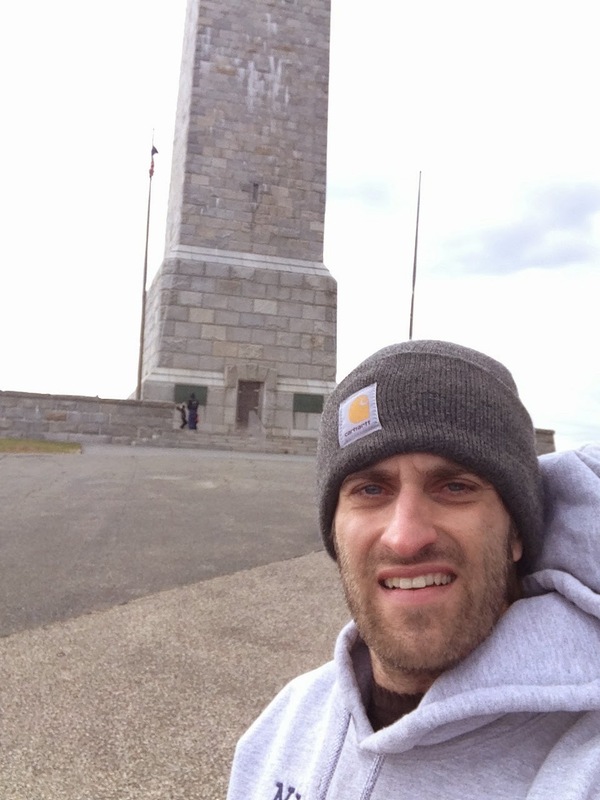 A little later in the Fall, while visiting the Catskills, we also finally popped over to the highpoint of CT. 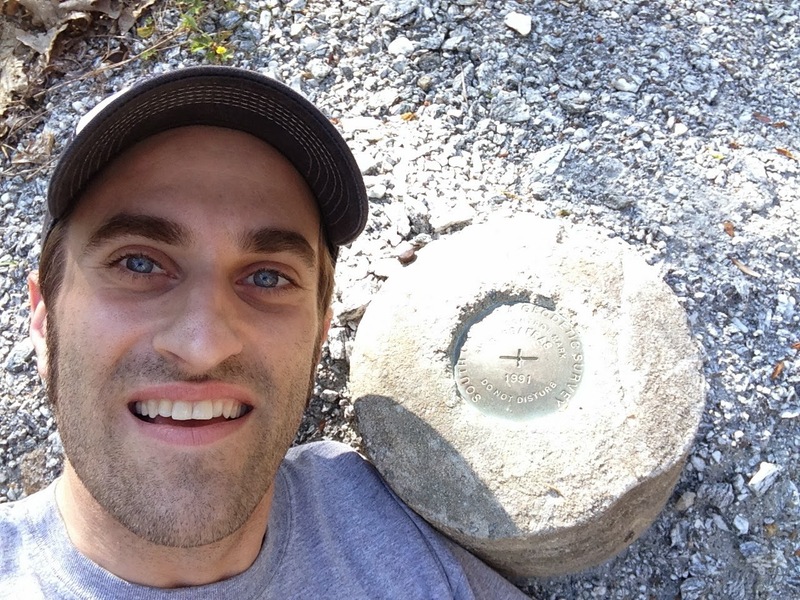 There's still some disagreement about the CT highpoint as the true highest elevation is on the South slope of Mt. Frissel right on the MA border. The highest peak in CT however, is Bear Mtn. 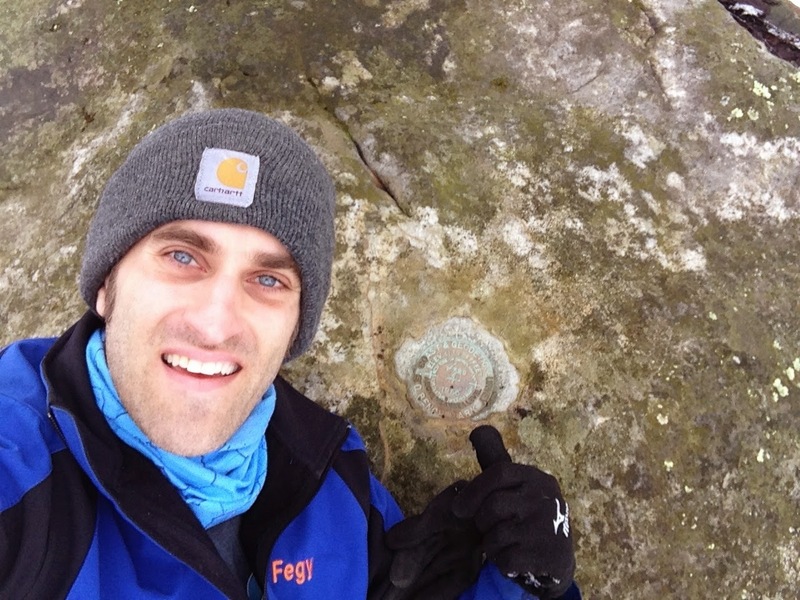 I had already tagged Bear Mtn on my AT thru-hike, but didn't have the true highpoint over on Mt. Frissel. 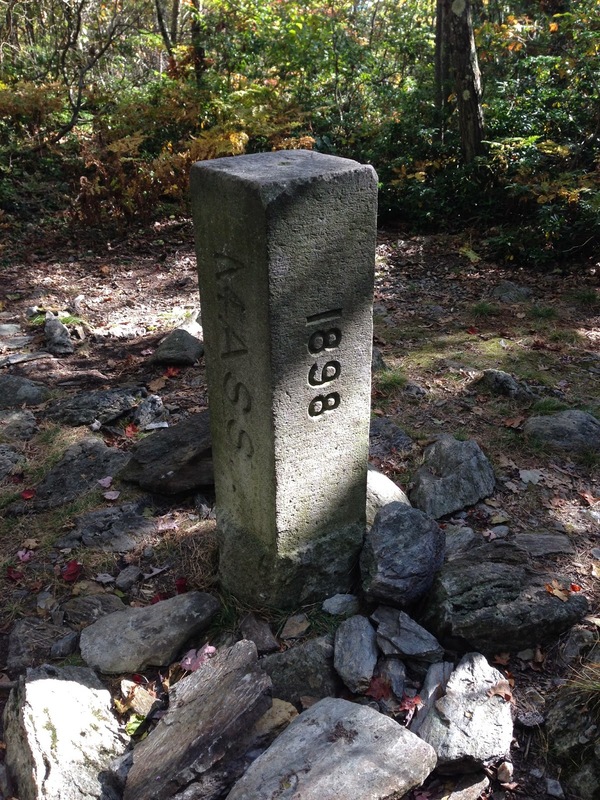 So we hiked in, tagged the summit of Frissel, and the hiked down the south slope to the CT/MA border to mark the CT highpoint. 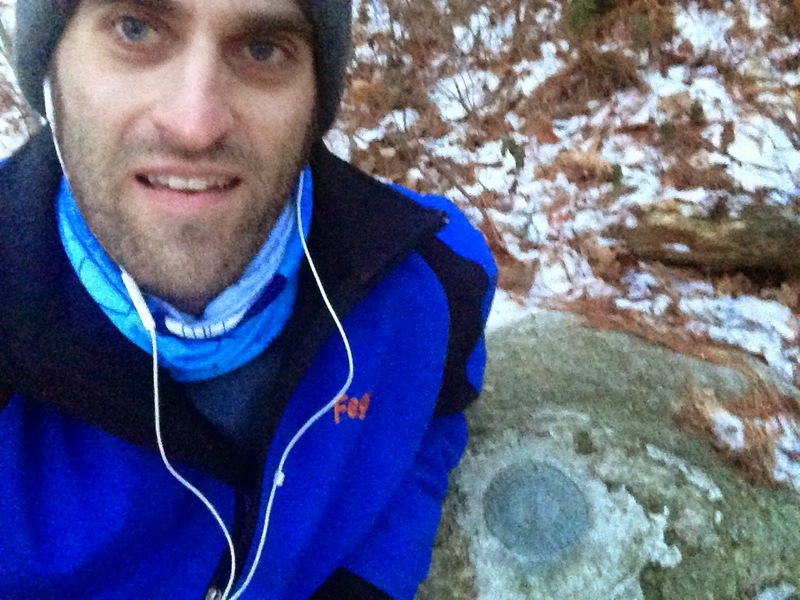 We even went another mile down the trail to tag the NY/CT/MA triple point. 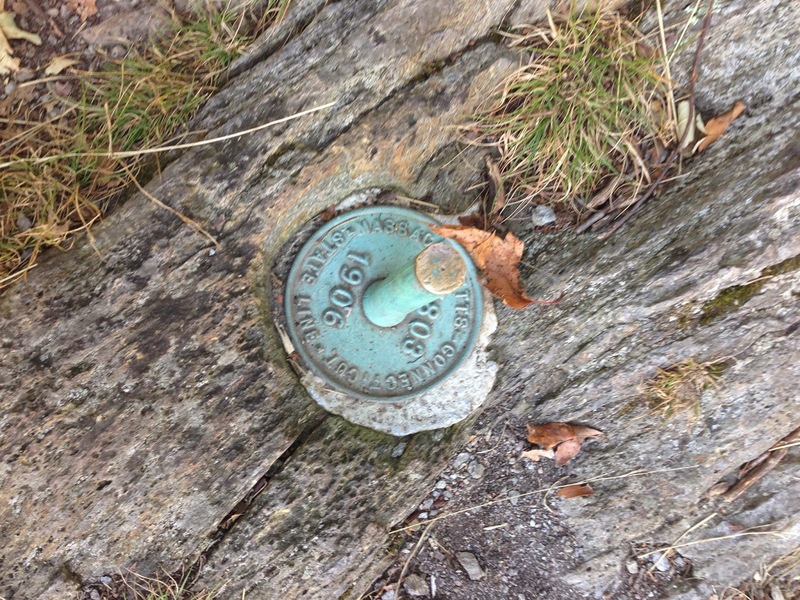 CT highpoint cairn and benchmark. Just after New Years this year, we were driving through DC and I thought it would be fun to discover and tag the highpoint. Even though it's not one of the "50", to me it still counts. 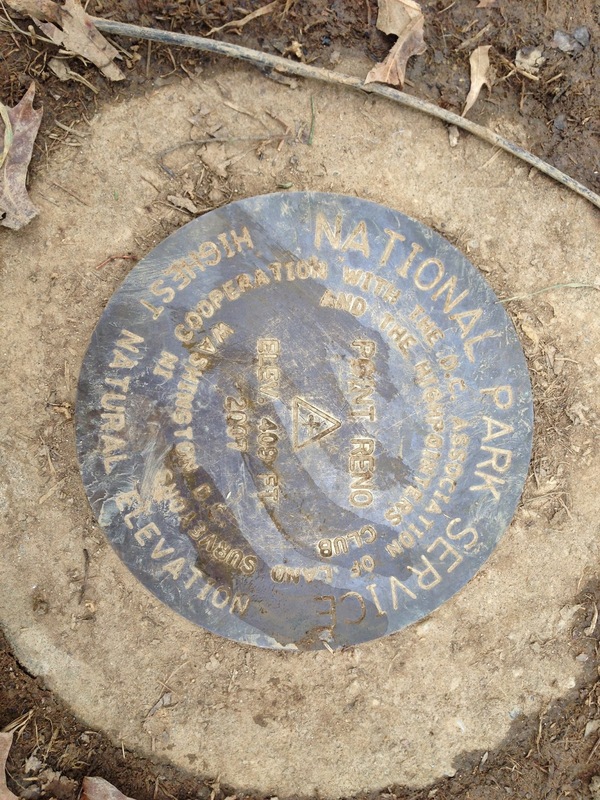 So we googled high point of DC, and discovered that Ft. Reno was essentially along our route! One more bagged. It's important to note, that there is a higher bit of land in DC nearby, but it is a man-made dam. The Ft. Reno benchmark is indicative of the highest "natural" point in DC. 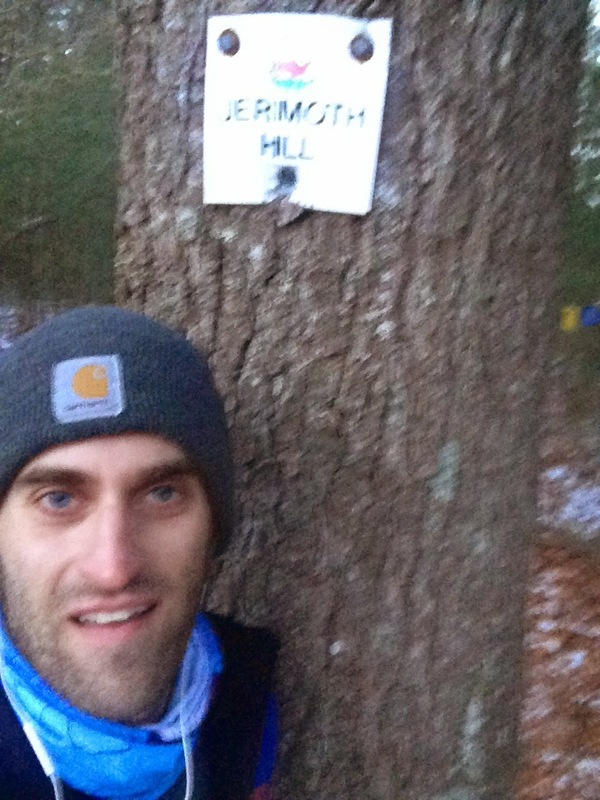 A week later, I was headed up to New Hampshire for a lab consult, and I decided to make the detour over from central CT to tag Jerimoth Hill. Only last year was the land finally acquired by the state, making the highpoint a public resource. Up until then, you could only visit the highpoint during strict hours as it was on private property. For being the smallest state, Rhode Island's highpoint is really complicated. 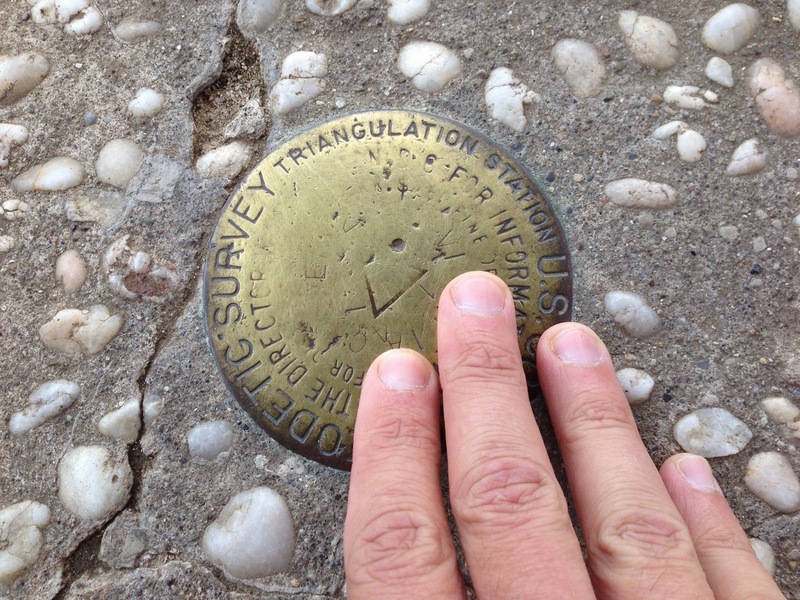 There are actually 4 identified USGS benchmarks. It's as though the surveyors couldn't make up their minds. Just to be safe, I tagged them all, including the obvious primary spot at the end of the short trail. Sign at the parking area. A 8 minute hike takes you to the summit. 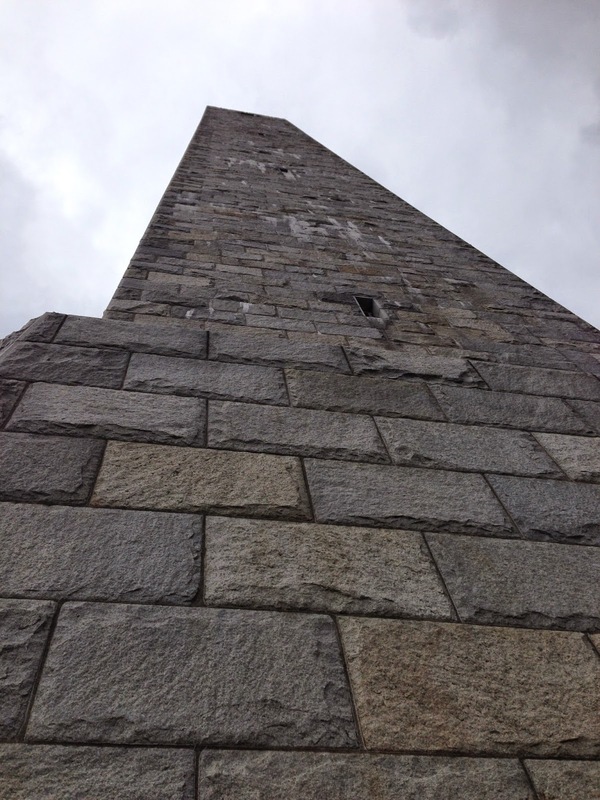 Enjoying Rhode Island's lovely high point. Two weeks later, I would make a short jaunt down to Hawaii to run in the HURT 100. On my way back, I set up my flights so that I could spend 2 days on the big island exploring. I rented a 4x4 and drove up both Mauna Kea and Mauna Loa. What a beautiful and magical place Hawaii is. It was quite surreal to literally drive from sea level to almost 14,000 feet in about an hour. My body was really confused. The actual highpoint summit requires a short 5 minute hike over from the parking area near the observatories. From the actual Mauna Kea summit cairn. And finally, we come to last week. 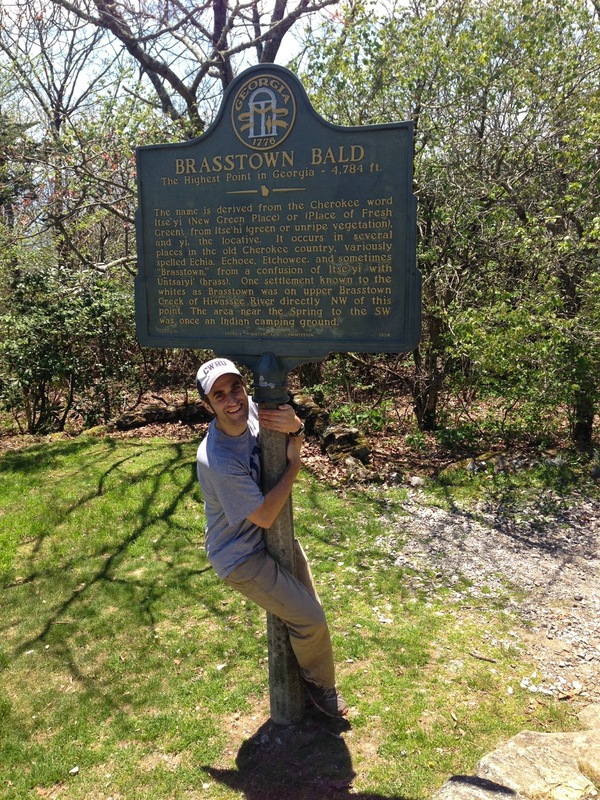 I made my annual pilgrimage down to Tennessee for the Barkley Marathons (I was only spectating / crewing this year), and decided to take a new driving route down through Kentucky. Incidentally, this took me somewhat close to the highpoint. Despite the late March day, I was greeted by biting winds and snow at the summit. The drive up to the actual highpoint was quite fun and climbed several thousand feet. Definitely a fun one to hit for sure. 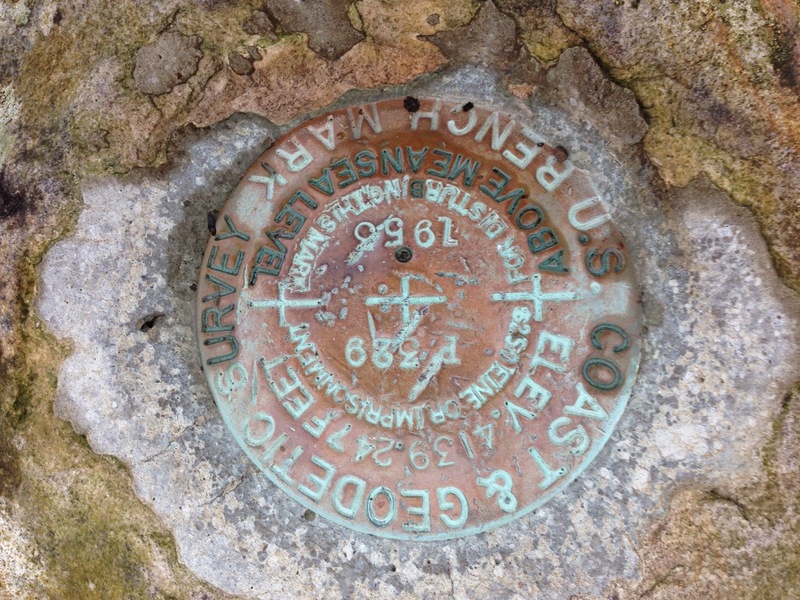 I also drove through the Cumberland Gap area which allowed me to hike the 3 mile trail to the KY/VA/TN triple point! Added bonus for sure! Highpoint plaque covered in snow. There were a couple of peaks that I wanted to mention as I either came very close to the summit, or was forced back down due to inclement weather. Specifically, there are three high points that fit this description. While thru-hiking the PCT, I hiked along the base of Mt. Hood but never attempted its summit. A few of the hikers I was with at the time did successfully summit in nothing but hiking gear and trekking poles. In retrospect, I wish I would have hiked it. After a few more days, I took a trip up to hike Boundary Peak...Nevada's Highest Point. It was a several hour drive up through Lone Pine and on to Bishop. All morning I had been noticing heavy clouds building but just assumed they wouldn't be a problem. Boundary Peak is considered to be one of the driest of all the 50-state high points. It's also one of the most remote, so I knew this might be my only chance for a while to bag it. 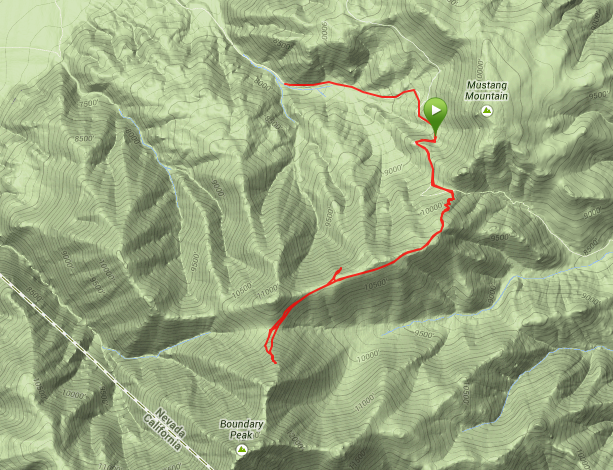 I decided on the Queen Mine Road approach as it seemed like a more fun trail. I made it as high as the mine at 9200 before the road got too rough, and simply road-walked the last 1/2 mile to the saddle where the actual single-track trail started. The clouds had moved in by this point, but they seemed very stable, so I wasn't worried. I made it all the way to trail canyon saddle (about 1.5 miles and 2000' from summit) when the freezing rain began. I was still not too worried, although quite surprised by my bad luck. One of the driest high-points, and I hit it on the one rainy day! I climbed about 800 more feet up the steep pitch towards the high ridgeline when the first lightning hit. Just to be clear here...Boundary Peak is 100% exposed at these elevations. There is no cover, nowhere to hide. Needless to say I panicked. I looked off in the distance and what was coming looked infinitely worse. It was so absolutely frustrating to have to pull the plug on an ascent so close to the summit (I was probably only about 1 mile away, or less, from the summit at this point)...but I was honestly getting really worried. 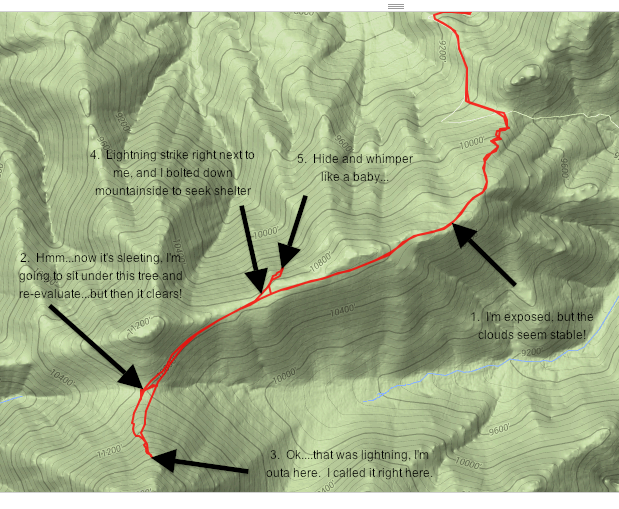 The lightning strikes were becoming more frequent and closer, and I had to scramble down technical trail. I turned quickly and began scree-skiing as fast as I could down the ridgeline back to trail canyon saddle. With each strike, my panic level rose. At the saddle I debated just diving down the backside into the nearest drainage...which would have meant a very long afternoon climbing back up and around after the storm passed. I instead decided to run hard around the ridgeline back towards the trail-head thinking I could outrun the storm. I made it about another mile, and was nearing the last exposed portion when the big one hit. Rocks buzzed for a split second, I felt my fingers tingle and then a deafening crash. I have no idea how close it was, but I saw the light and heard the sound almost at the same time. I truly feared for my life at this point and dove off the side of the mountain as fast as I could down the closest side. It was wicked steep and I had no idea where it would take me, but it was down-slope, and gave me a little protection. A few more crashed, and then just as fast as it came, the storm was gone. I had only scrambled down about 300 feet before the clouds cleared. I took a picture from under my little bristlecone hideout down the steep side of the random mountain face of what appears to be a beautiful blue sky. You'd never know I had just come feet away from a hot lightning strike. When I slogged back up to the ridgeline, I was briefly tempted to make another stab at the summit, but off in the distance I could see another line of storms coming...and they looked even worse. For that moment though, the sky was beautiful and blue. I took one last picture of Boundary Peak...and the summit I never made, so that I could remember it and so that I would have motivation to return some day (call it a little score to settle). I turned around, counted my blessings and made quick for my car. I had had enough excitement for the day. Turns out...the remnants of tropical storm/hurricane had come ashore from the Pacific and nailed the Sierras and White Mountains that day. Heck, it even rained in Death Valley. A more recent check of the weather report would have saved me a very long drive that day, but still, it made for quite an adventure for sure. I made it back to my car ok, but by the time I got out to the main road, the entire cluster of mountains was enveloped by a MASSIVE thunderstorm. I definitely made the right decision to turn around. The view of Boundary Peak from the highway (The peak itself is in the center of the picture behind the main v-cut valley, but is completely obscured by the thunderstorm clouds) I took this picture only about 40 minutes after the sunny picture above. Here's my garmin track for the day. The green arrow was where I parked my car. You can also see the labeled final summit and just how close I was when I turned around. I forgot to stop my garmin on my drive down, which is why the track continues down the road a bit. I have no pictures from this trip, but late last November I tried a summit of Mt. Mansfield. I made it above tree line, but was forced down due to extremely cold and icy conditions. At last check I was just under a mile from the summit (and about 1200 feet below I think). Immediately next, I will very likely tackle both New York's Mt. Marcy, and Vermont's Mansfield. I'll be spending some time in New England area and will happily knock these two out. I understand that Marcy is a long but beautiful hike. It's embarrassing to think that I lived for over 17 years of my young life in NY, but never hiked Mt. Marcy. Hopefully that will be remedied soon. Additionally, I'm headed out to Colorado again for some labwork, and if I'm feeling particularly daring, I might try to drive down to New Mexico or the panhandle of Oklahoma to knock those two out. I would LOVE to tackle Wyoming's Gannett peak, but the trail is 50 miles roundtrip!!!! It is very unlikely I'll have that kind of free time while out there. Anyhoo, that's it for now. Thought it would be fun to walk down my little highpoint memory lane.